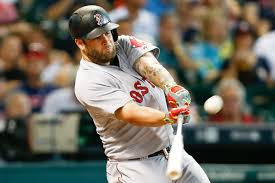 CLEVELAND - Mike Napoli will be playing for the Cleveland Indians for at least 1 year. A dollar figure has not been disclosed. Napoli batted .224 with 18 home runs and 50 RBIs in 133 games for Boston and Texas in 2015. Blue Jays Rotation...is this it ?